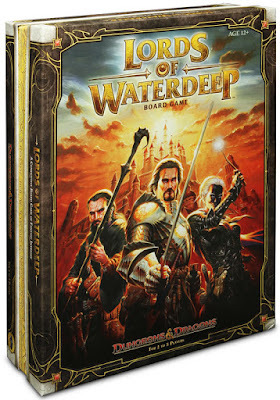 Today, I’d like to talk about one of my favourite board games, Lords of Waterdeep. Chances are, if you read this blog, you’ll have played it or at least read about it a couple of times already. 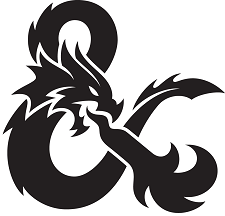 However, I, being the… careful… thinker that I am, recently realised that it is a D&D game set in the Forgotten Realms, and thus should have a post on this very blog, dedicated to the altar of Ed Greenwood all things Forgotten Realms. Players get to play one of the lords of said city and strive to manipulate their way to the most victory points in order to win the game. Victory points come primarily from completing quests. It’s not the lords work to complete quests, however, that is a job for the lowly adventurer. The lords send their agents, i.e. place their workers, to various parts of the city to recruit the adventurers. When they have enough adventurers and/or money, they can complete the quest and reap the rewards. Most quests award victory points and some give more long-term benefits. Interaction with other players primarily happen by playing intrigue cards against them. You’re also trying to figure out which lord they are playing, in order to minimise their end game bonus and sabotaging their ability to complete quests efficiently enough. That’s right, the lords are hidden, which is another very nice detail where game mechanics and flavor meet. In Waterdeep lore, the lords are masked, hiding their identity, letting new individuals claim lordship in secrecy. The mechanics are simple enough and euro-gamey enough to fit almost any narrative. This game could’ve easily been about farmers. Or miners. Or cattle-herders, or a combination of any other economic asset. That’s precisely why I’m so glad that this is a D&D game. The world brings so much flavour to the regular euro game core. Each quest could become an RPG scenario and it’s easy to picture the agents running around town, carrying out the lords’ many wishes. As a player, I feel like a lord, seeing my agents bringing my careful plans come to fruition, even though I’m really only making sure I have enough purple cubes to get to move my victory points counter. It is a marvellous feeling. Most RPGs, let alone DM:s wouldn’t let you play such an important character in the first place. I wholeheartedly recommend this game. My wife and I play it with experienced board gamers and newcomers alike and it never fails to deliver a good night of board gaming.